It is true tat karchi is centre of economic activity and the largest business hub in Pakistan. There are infinite number of parks and gardens are found in Karachi. Al mehran park Karachi is one of them which is the most lovely and well known park in Karachi. Almehran water park Karachi is located near AL-HABIB Restaurant, new sabzi mandi Karachi. Almehran water park is very neat and clean water park. It is one of the more enjoyable and amusement park in Karachi. It is one of the nice and enjoyable place in Karachi. Mostly people of the Karachi like to go there in evening specially in summer season. Almehran water park is an marvelous side to stay. It is large place to visit in summer season. It has large pools and slide beside with greenery atmosphere. It has also small pools for small children with complete protection measure for them. There is zoo area too for kids where different types of animals and birds be present for loveliness and delightful of viewer. 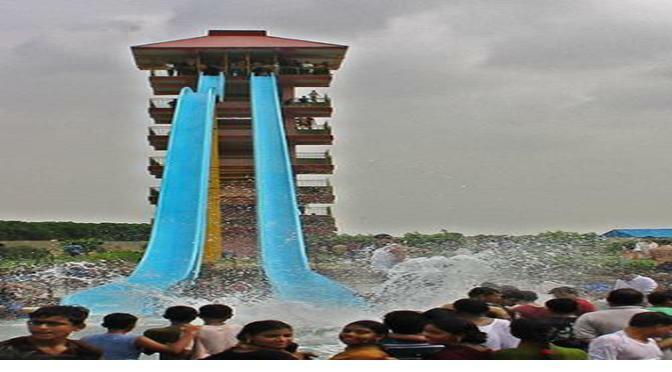 Almehran water park is one of the greatest and most excellent places in Karachi for the tourists who catch the attention generally for its peaceful environment and big pools. I strongly believe that it is one of the nice and most amusement place in Karachi. if any one have a chance to went there please share experience with us.